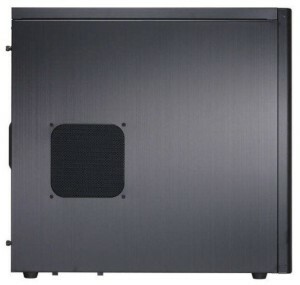 Lian-Li, a leader in manufacturing full aluminum chassis, has recently announced a new brushed aluminum mid tower chassis called the Lian Li PC-7H, which can support ATX and micro-ATX motherboards. 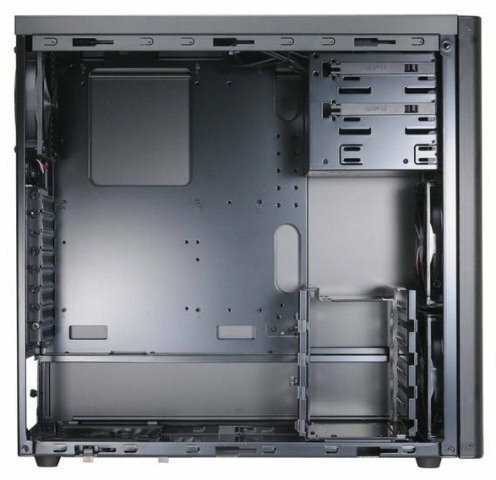 DIY builders and PC Enthusiast can enjoy an elegant looking yet simple chassis with all the tool-less option that they need. With Lian Li PC-7H you can install up to (4) four 3.5” hard drives and one 2.5” SSD in the HDD cage located in the front of the chassis. Thumbscrews with rubber suspensions are used to secure the 3.5” drives. 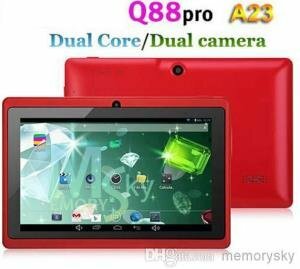 The rubber suspensions also reduce vibrations thus eliminating noise coming from the hard drives. The HDD cage can also be easily removed for those who want to modify the internals of this aluminum chassis. 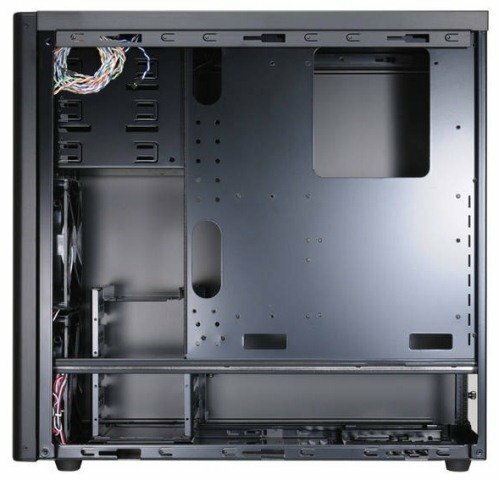 Located above the hard drive cage are three 5.25″ drive bays that also features a tool-less design so that you can easily install any optical drives, expansion slots or 5.25-inch accessories. 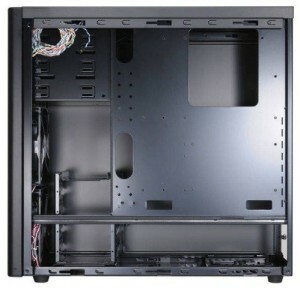 The Lian Li PC-7H, including its drive bays, is cooled by Two 140mm fans in the front of the chassis that pulls cool air into the chassis. The bottom 140mm fan blows air directly on the HDD cage, while the upper fan pushes air across the motherboard and expansion cards. The front panel is tool-lessly removable, making it easy to clean and maintain the air filters. The rear 120mm exhaust fan pulls hot air out of the chassis. 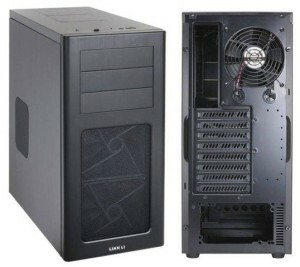 Users can further install two 120mm fans inside the top portion of the chassis and another 120mm fan can also be installed on the side panel of the chassis. 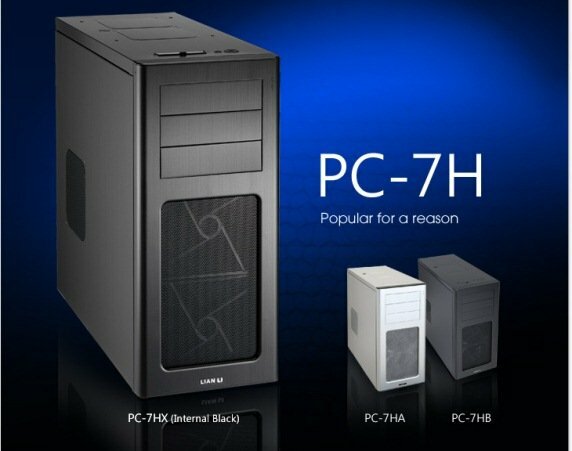 The Lian Li PC-7H are available in three (3) different variations, the PC-7HA or white version, PC-7HB or black version and the PC-7HX or the internal black version. Currently this chassis has a manufacturer’s suggested retail price of $119 USD and will also be available in the USA and Canada, as well as other parts of the world.